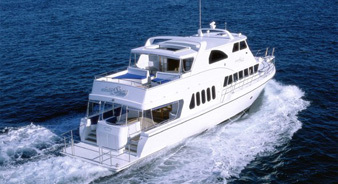 MV Circa Spirit is a luxurious 76ft Conquest WA that was purpose built for commercial cruises. 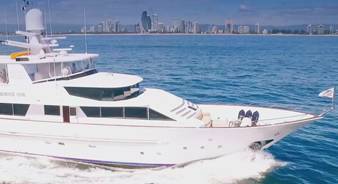 This remarkable yacht is sure to exceed your expectations! MV Circa Spirit can be hired for all types of cruise events! 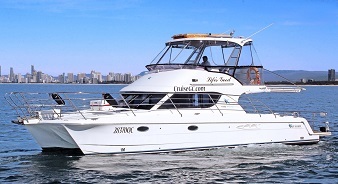 Located on the Gold Coast at Marina Mirage, you are only a stones throw away from feeling as though you are sailing through paradise aboard this magnificent motor yacht! Unlike most charter vessels MV Circa Spirit has a large galley in which all the food is prepared by our onboard chef, a large cold room so you are sure to not run out of beverages. 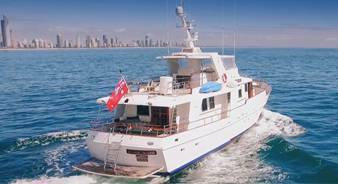 Her key features are the large upper and lower decks, making her the ultimate entertaining cruise vessel on the Gold Coast!